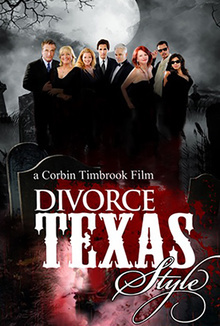 If somebody wants a divorce in Texas, someone has to die. This film is about four men, four women and a Texas legend that says: if somebody wants a divorce in Texas, someone has to die. Within a two year period four husbands are dead: drowning, shooting, heart attack and suicide. But things are not always as they seem. With two detectives hot on their trail, the four widows continue to enjoy sharing lies and Bordeaux.